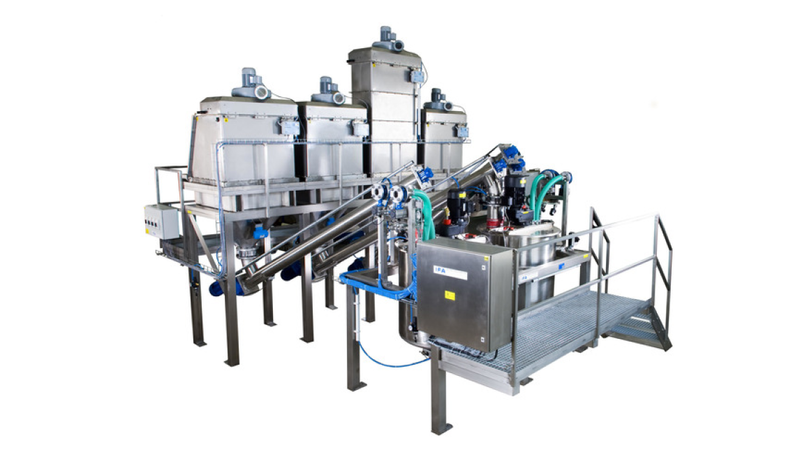 IFA preparation station for solids and liquids metering. In the preparation station solids of various types are added to liquids. Fire retardant, biocide, fungicide, pigments, titanium dioxide and many more.